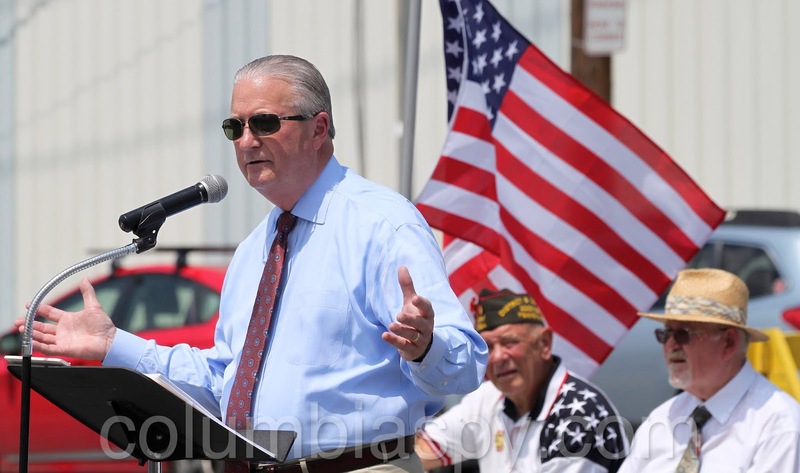 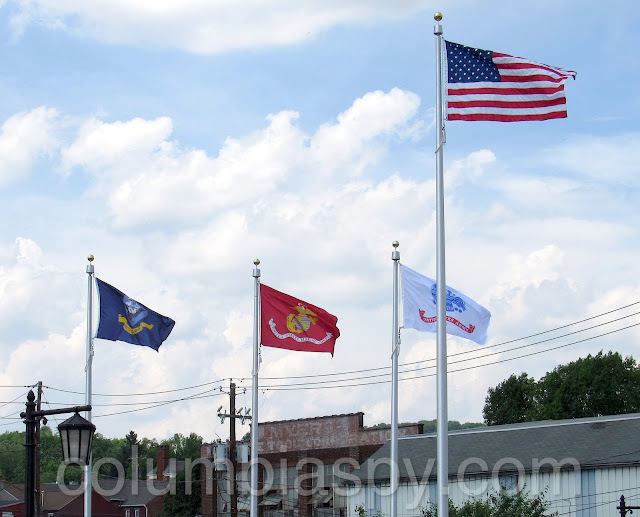 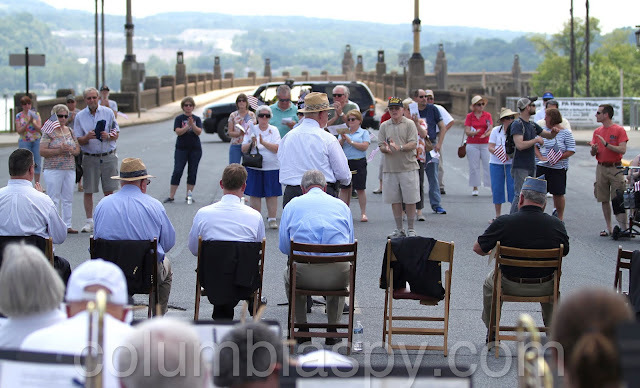 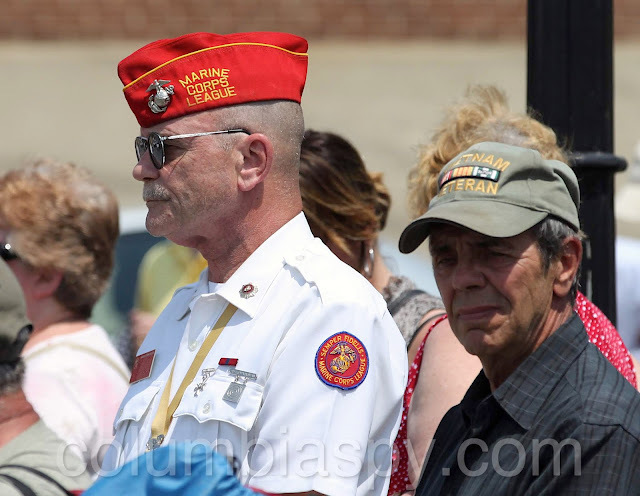 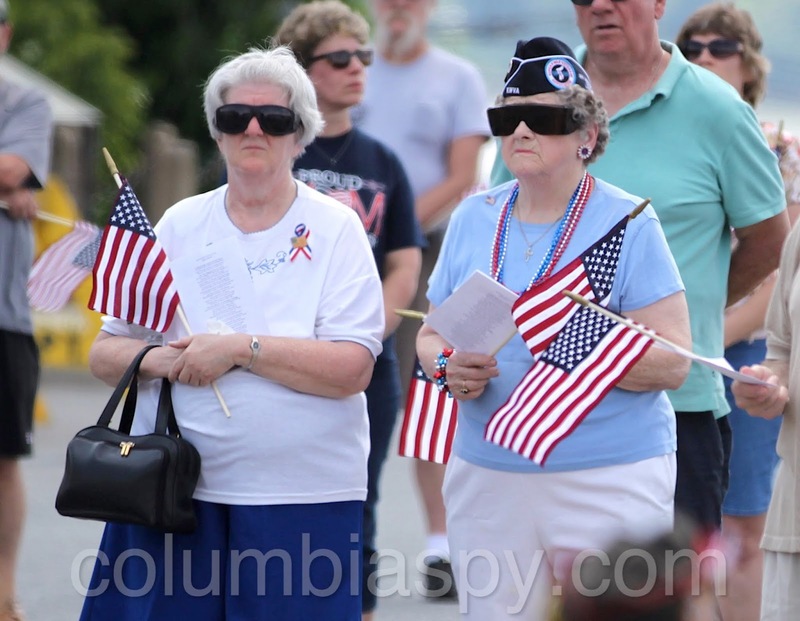 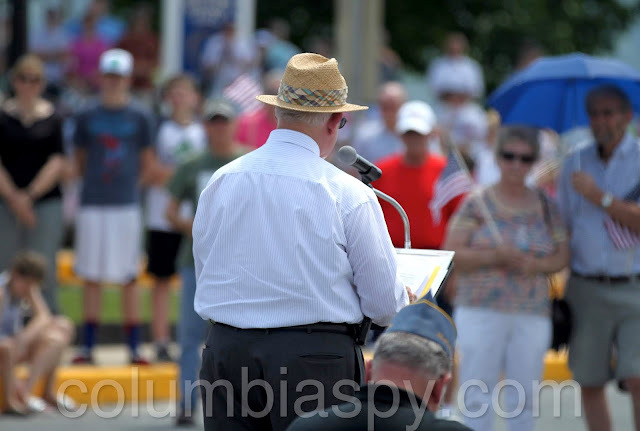 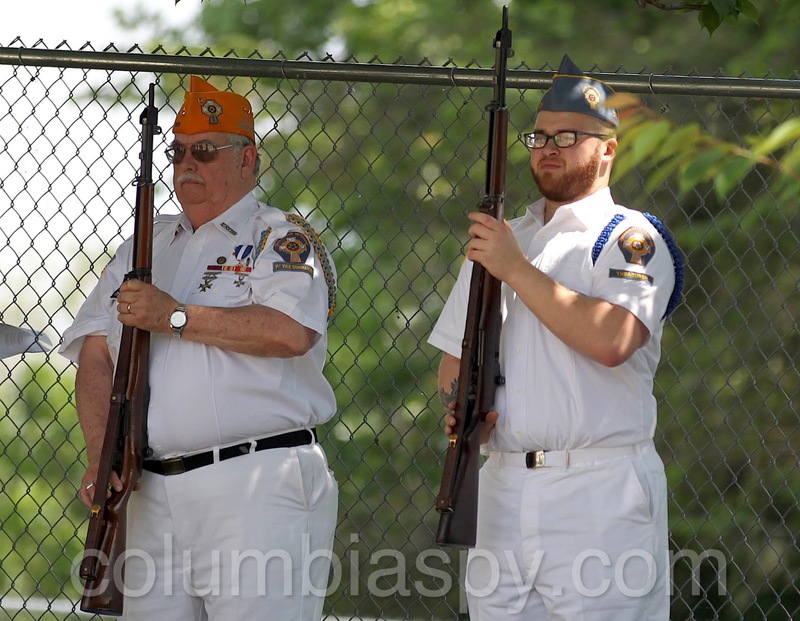 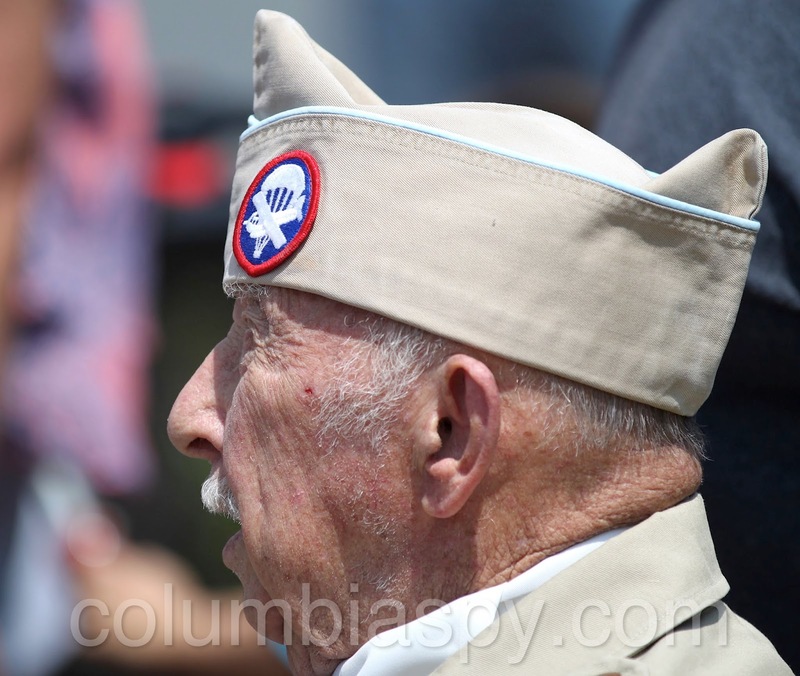 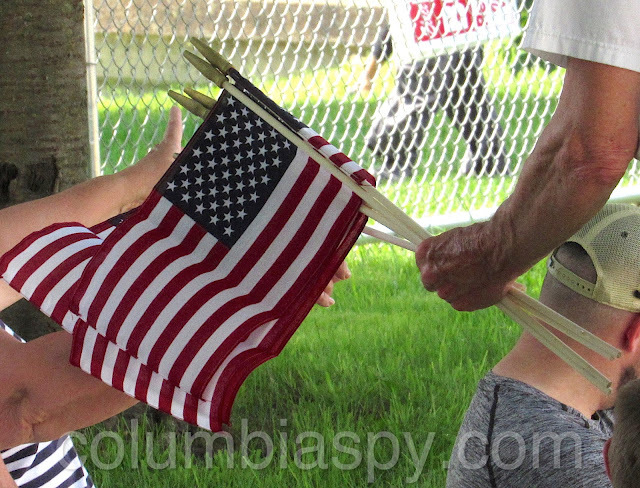 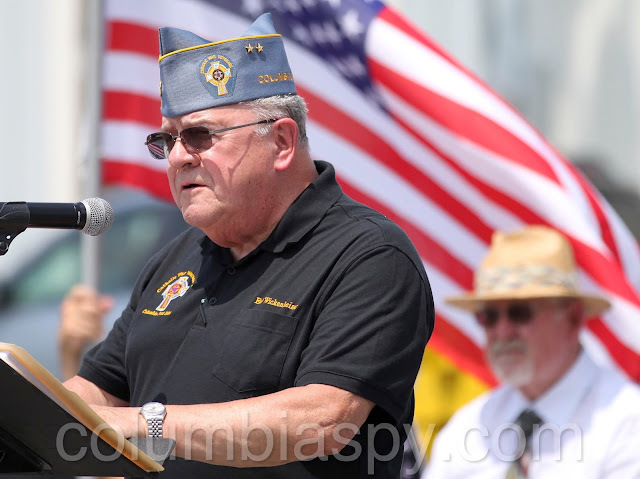 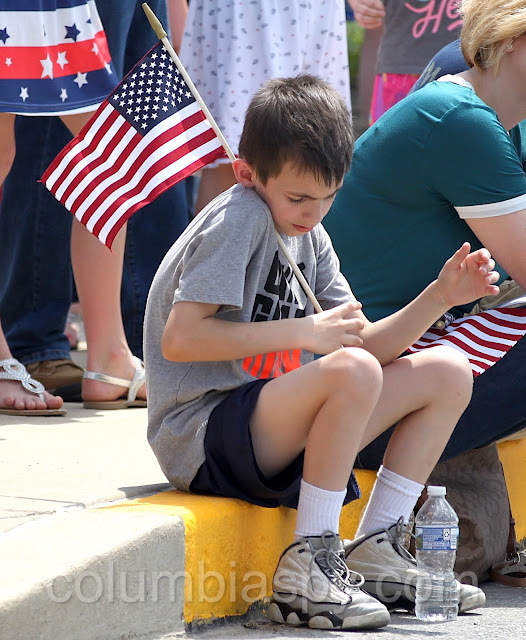 On Saturday afternoon, Columbia Borough dedicated the "Veterans Memorial Bridge Island Gateway Project" honoring military personnel. 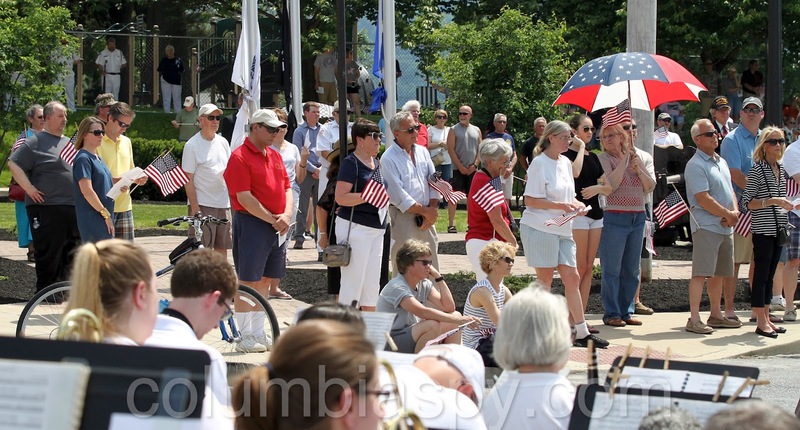 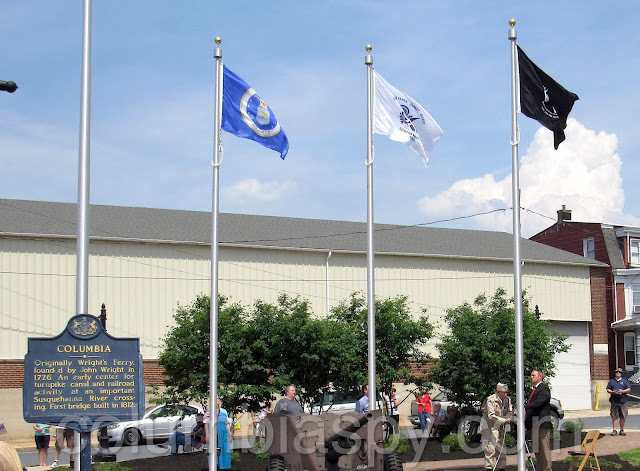 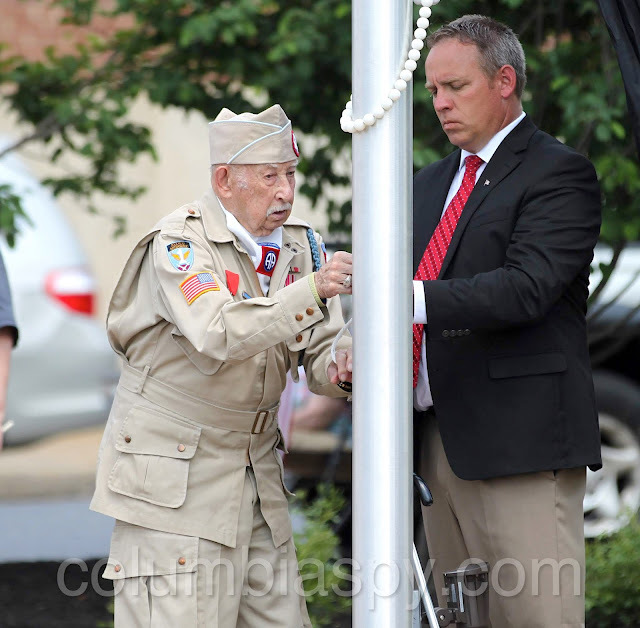 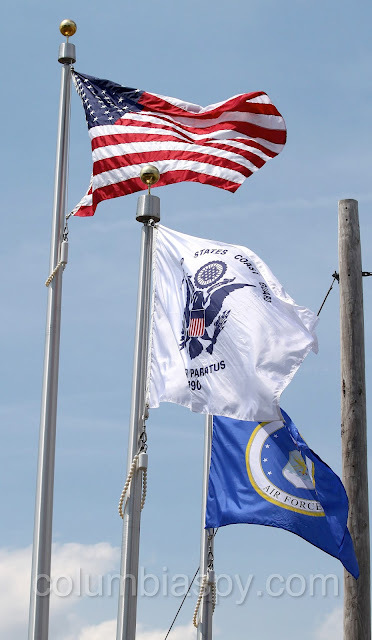 The ceremony, which was held at the bridge plaza, featured a flag-raising for each branch of the armed forces and POW/MIA. 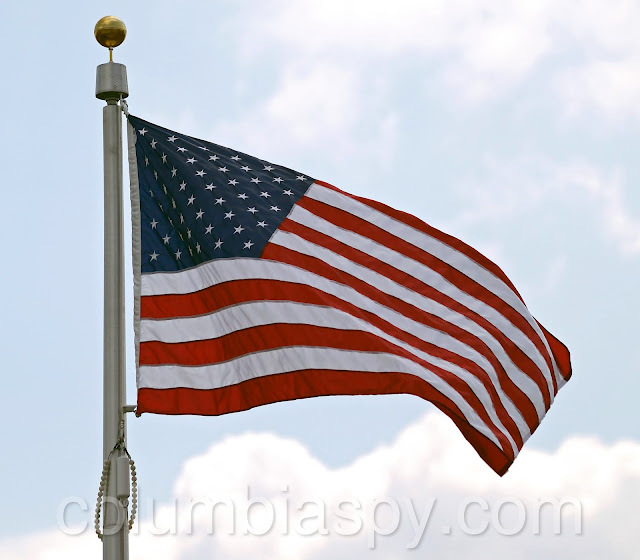 (Eight flagpoles were installed last December.) 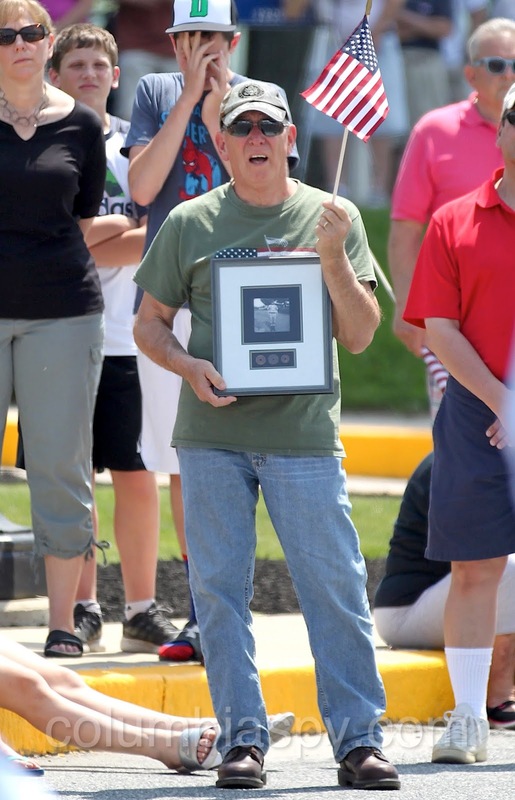 Engraved bricks holding the names of members of the military were laid along the walkway this week, in anticipation of the dedication. 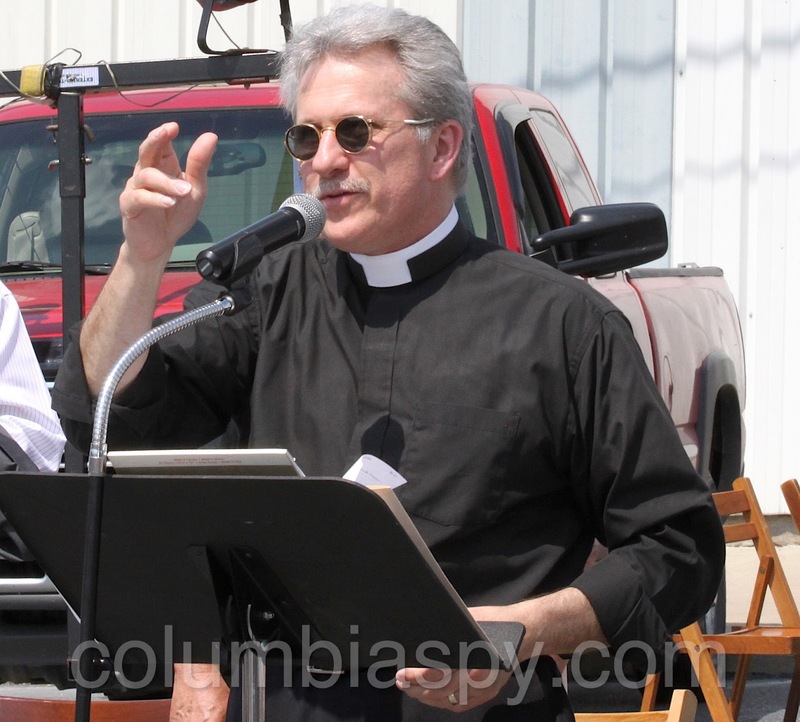 About 300 people attended Saturday's event. 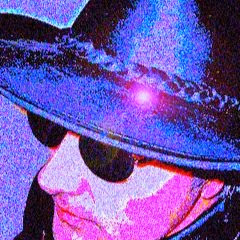 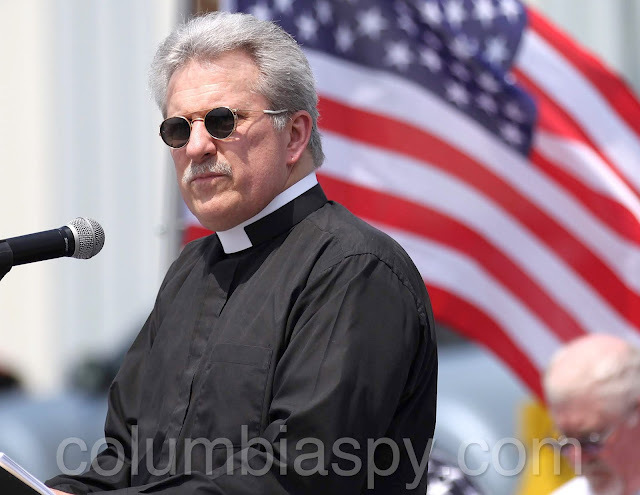 The project was originally conceived by Philip Glatfelter. 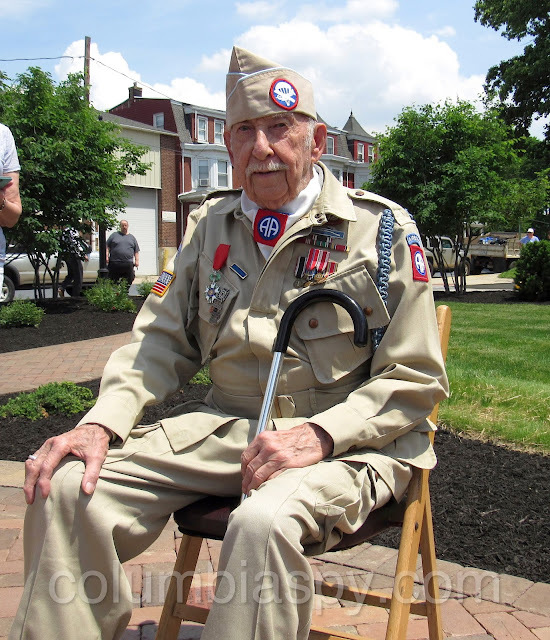 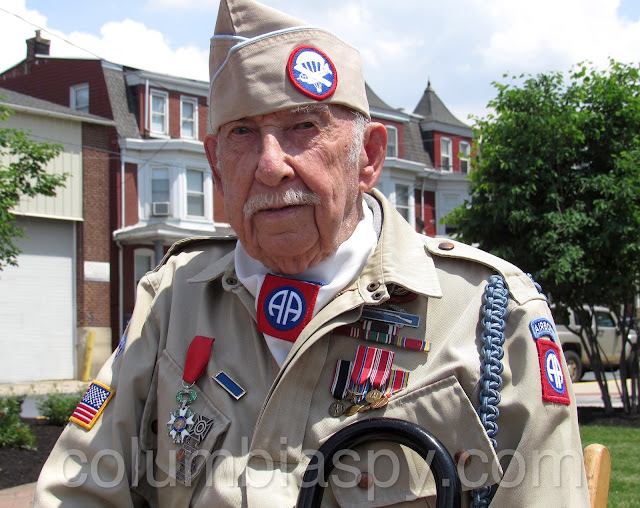 Glatfelter, a veteran, died in October 2016. 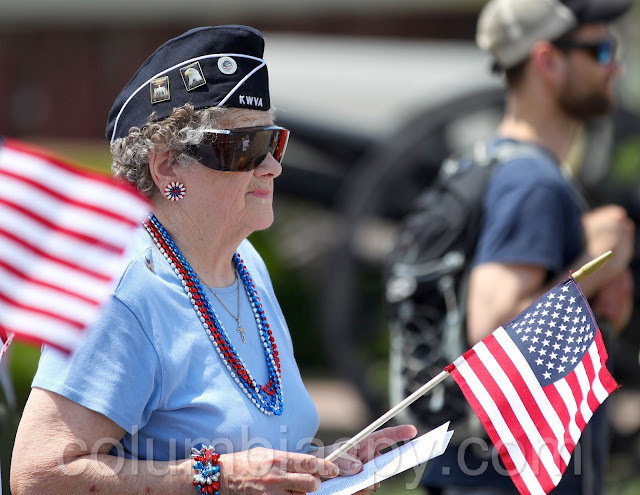 A GREAT BIG THANK YOU TO ALL OF OUR VETS!!!!!!!!! 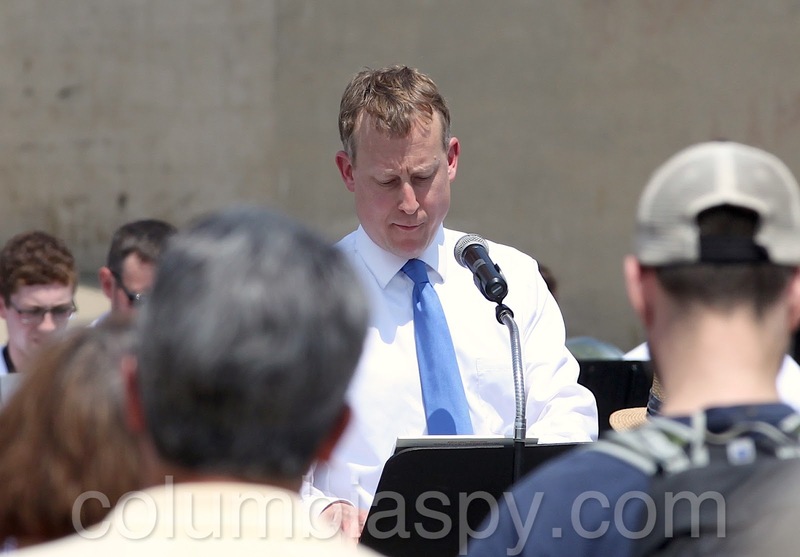 Those two pics of the mayor show his best side! 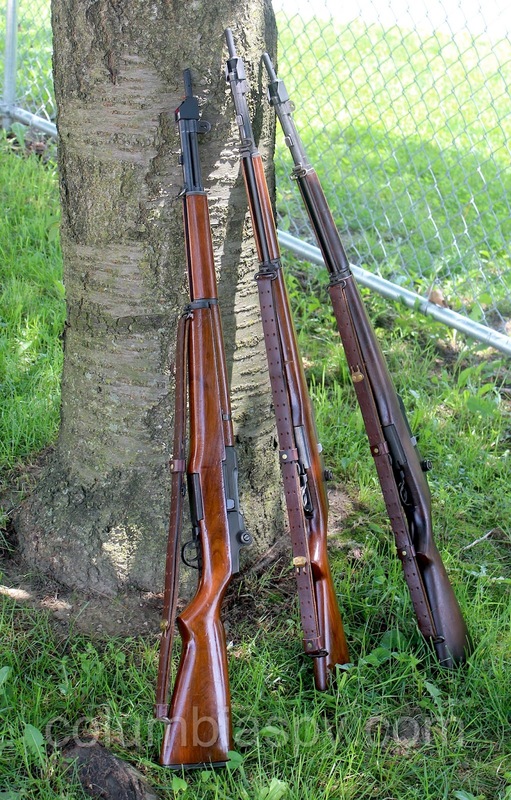 Just stop for one minute! 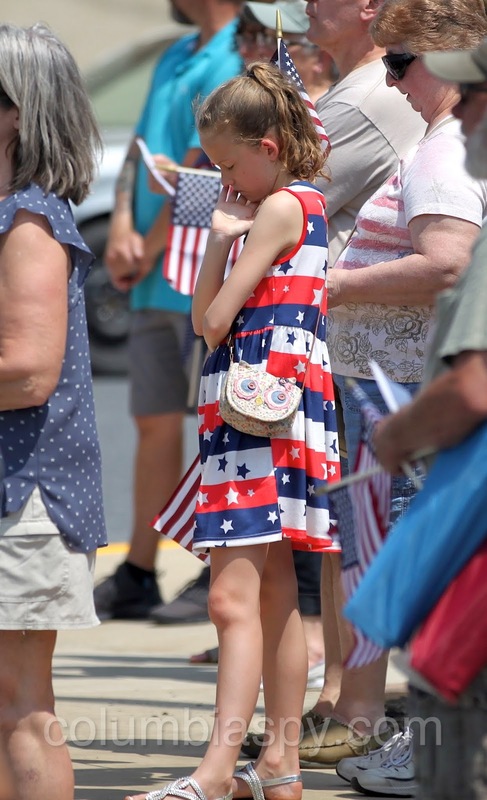 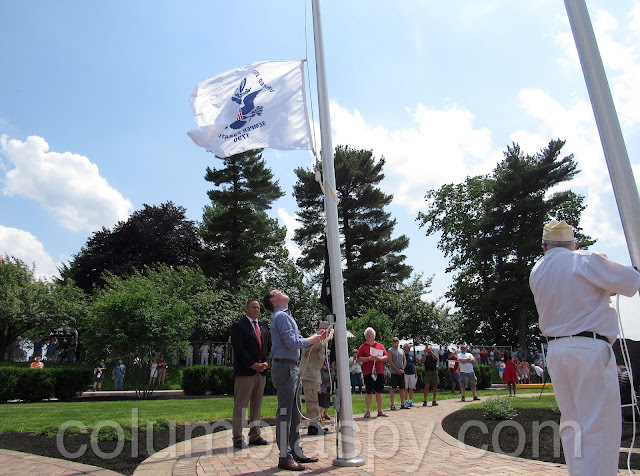 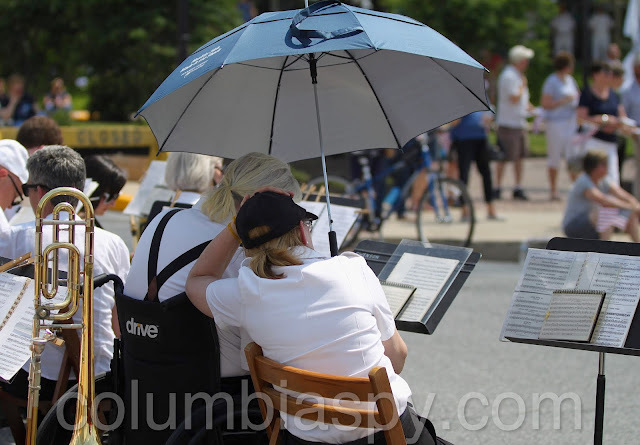 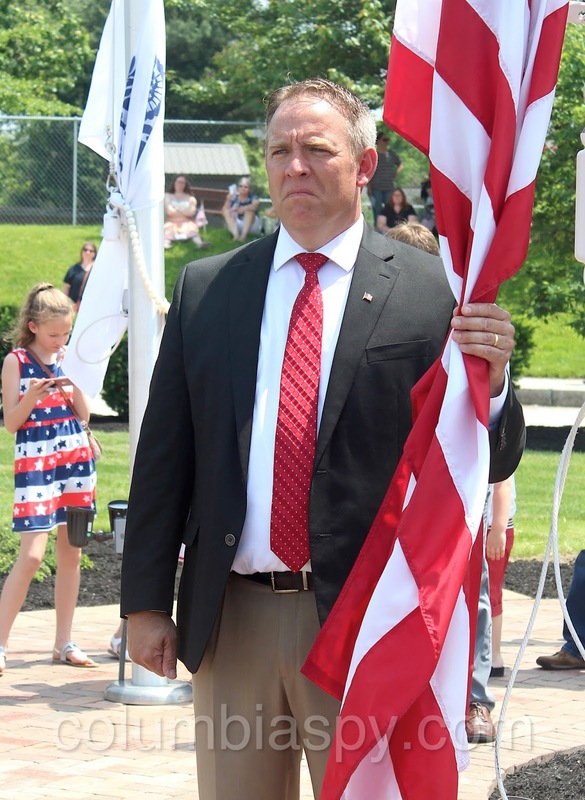 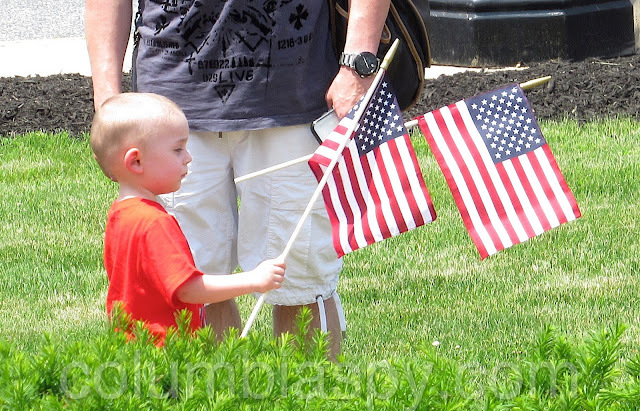 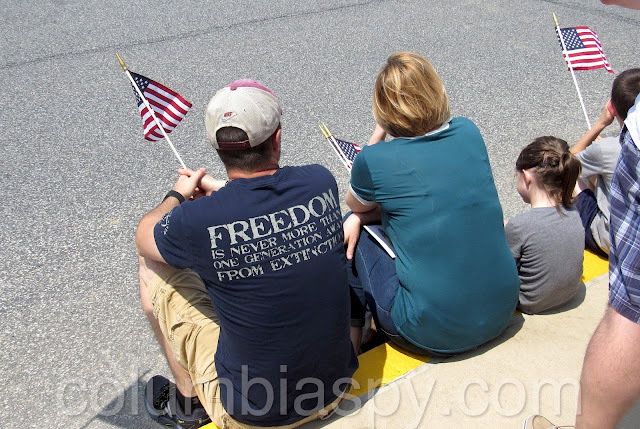 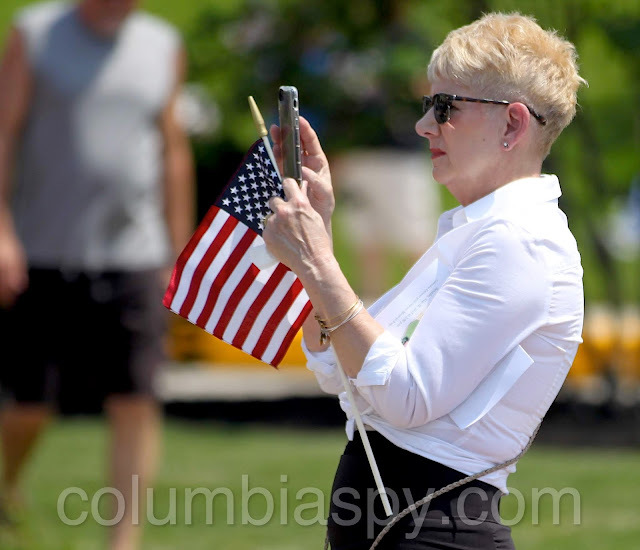 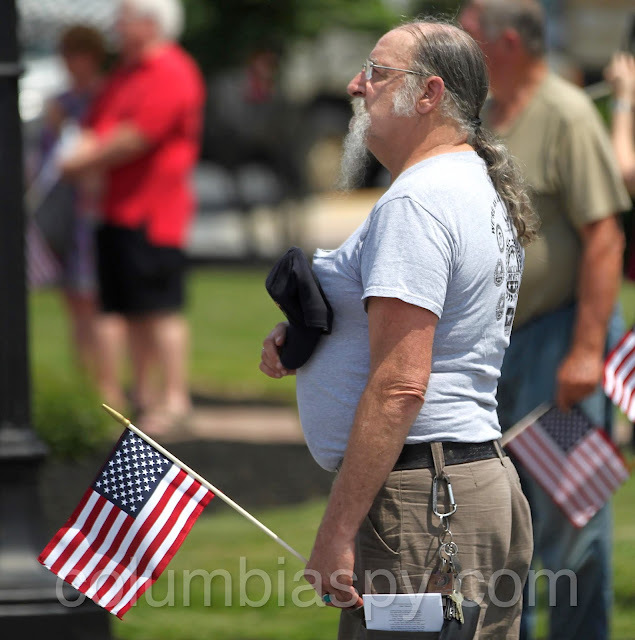 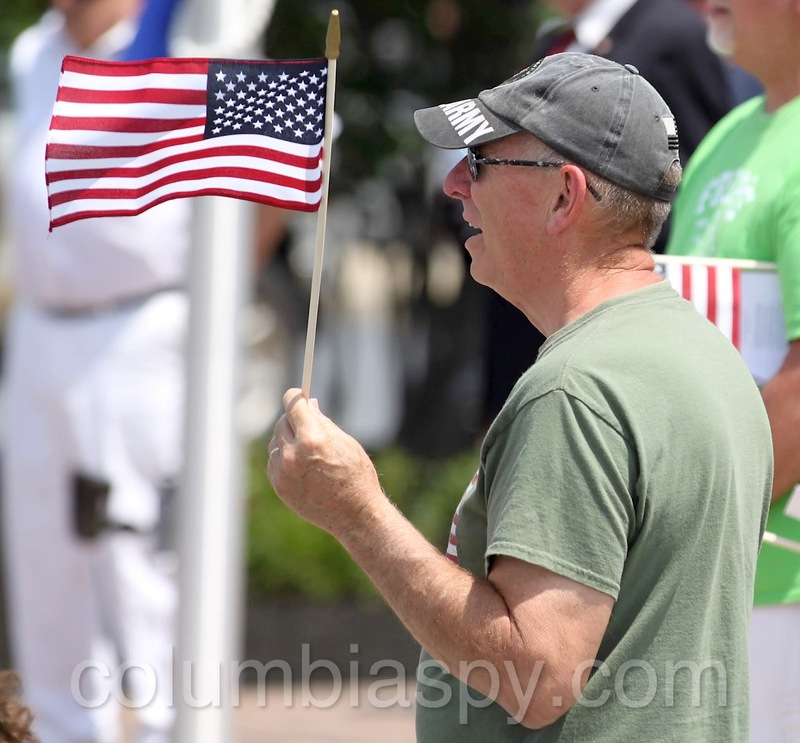 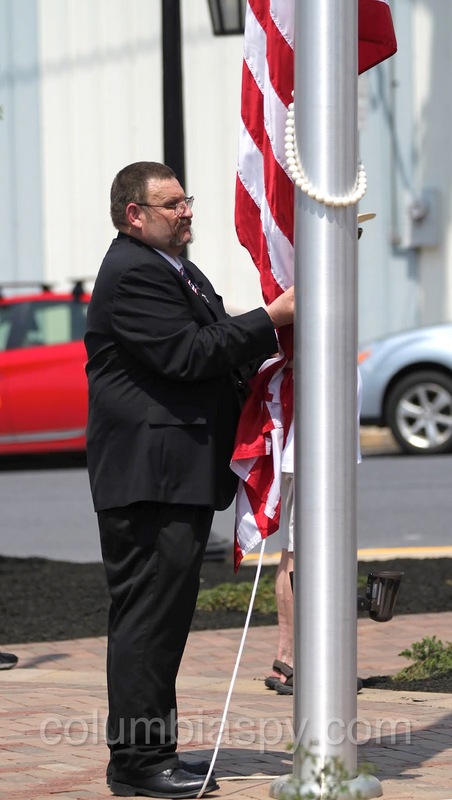 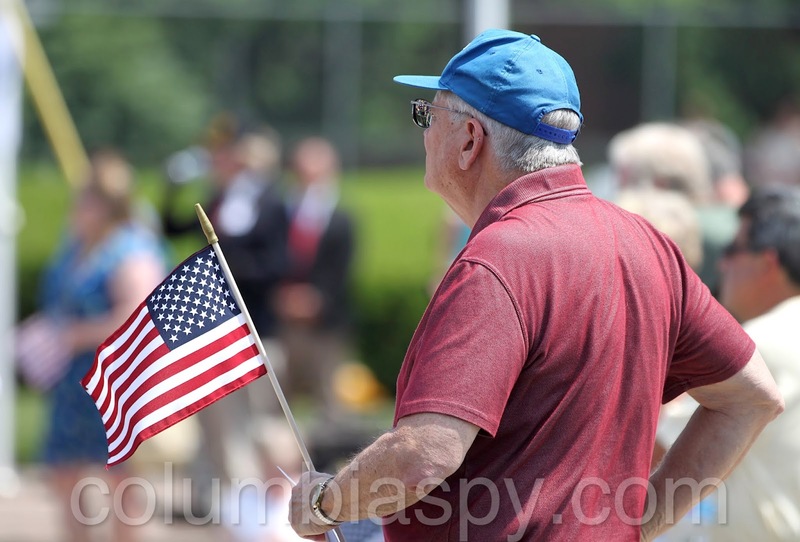 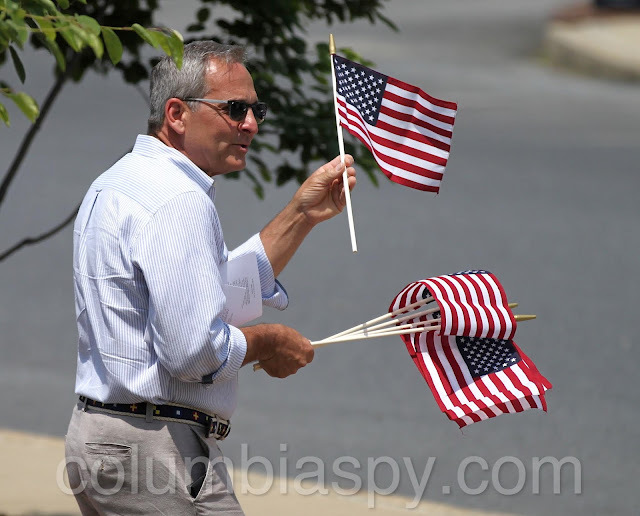 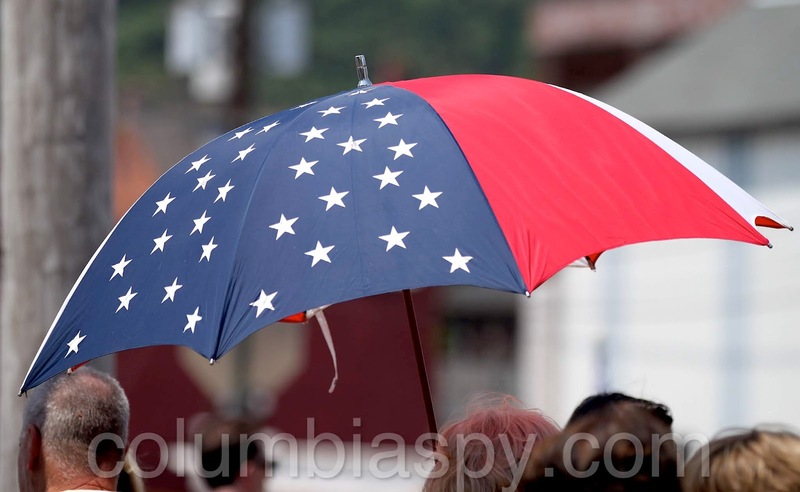 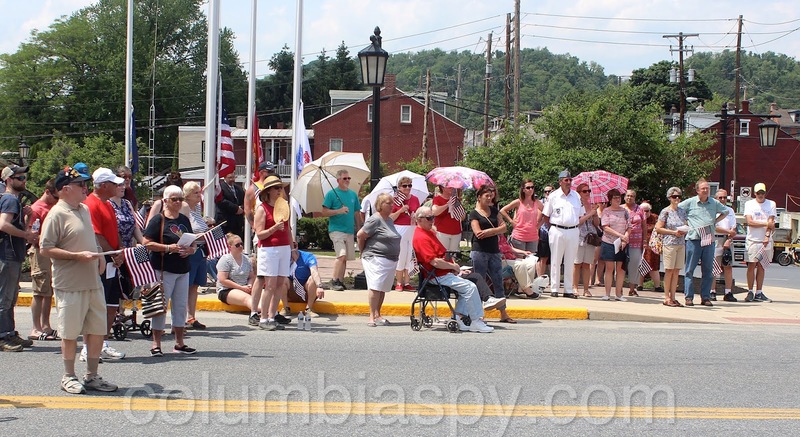 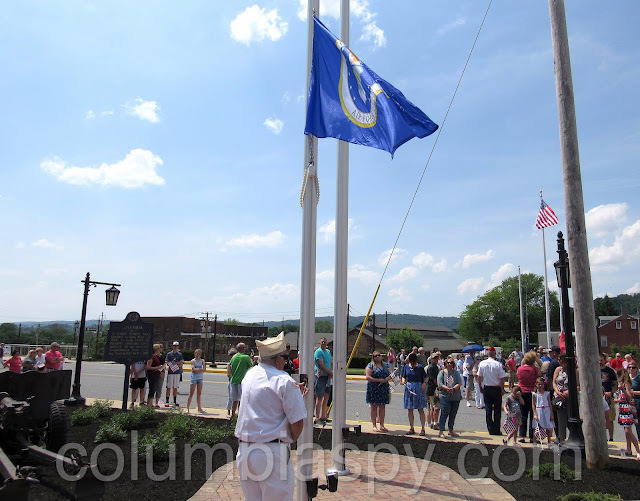 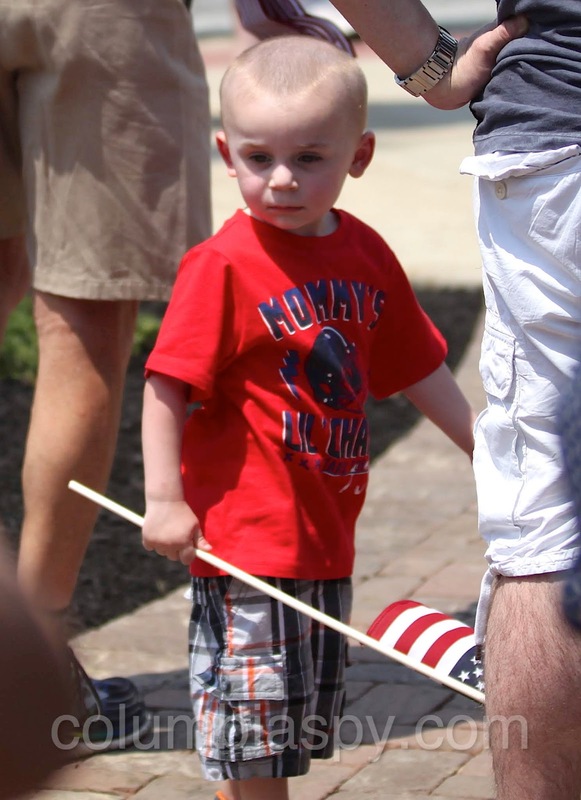 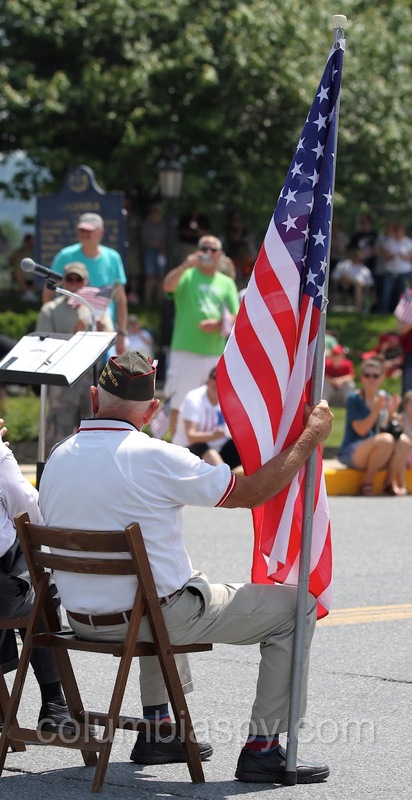 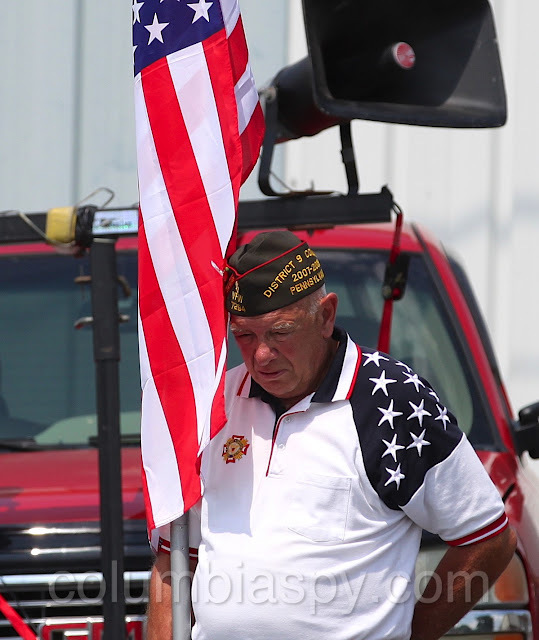 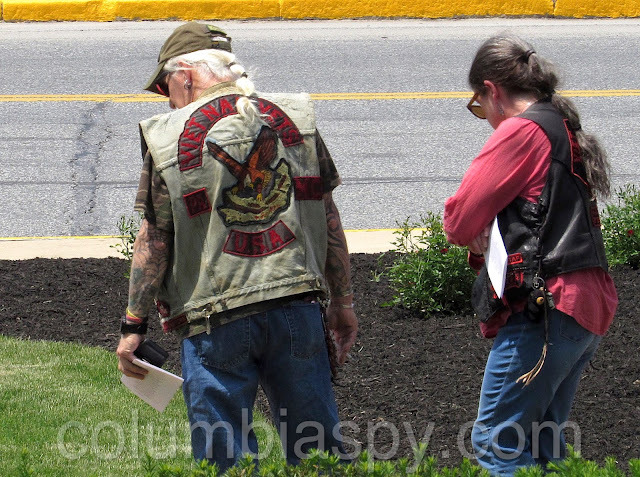 The borough manager missed the flag dedication ceremony. Where was No Show Hickernell? "Do-Nothing Dave" was probably at another event.